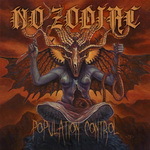 Seventh Dagger has launched pre-orders for the upcoming No Zodiac album 'Population Control'. You can get your copy here. There's even ski-mask/CD combo! Teaser for the album can be found here.